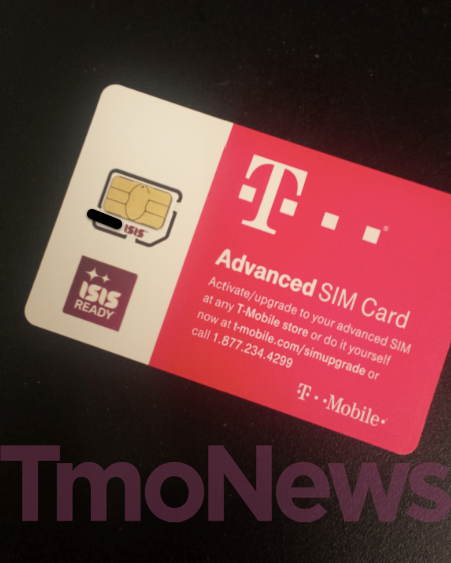 As news broke in late July that the ISIS mobile payment system was finally ready to go nationwide later this year, it was only time before T-Mobile stores started to ramp up as well. As one of the three national carriers supporting the Google Wallet competitor, T-Mobile stores in the Salt Lake City and Austin, Texas areas began receiving this SIM cards last year. However, after a series of delays ISIS appears to be on track for a launch this year with 25 out of the top 100 retailers already on board. At least some of these SIM cards have arrived pre-packaged with the Galaxy S 4 which all but assures that device will be ISIS ready at launch. As it stands today, ISIS is already set up to work with Capital One, American Express and Chase Freedom credit cards. In summary, ISIS Mobile Wallet is simply a way of storing things your existing wallet already does, including select credit cards and using your mobile device to pay. NFC technology enabled on select devices allow you to literally swipe your device across a terminal or register and make a payment just as you would via credit card. ISIS organizes credit cards, offers and loyalty cards in one “convenient app.” As it stands today, ISIS is only available on Android though it seems obvious that an iOS app is only a matter of time. Mobile payments are exactly as exciting as a newly leaked handset, and plenty of people will express concern about the security of such an app. Time will simply be the guide for telling us just how successful these NFC-based mobile payment systems can be. It’s likely that a lot will depend on just how much carrier support is behind ISIS and how much the carriers do to promote it. It’s entire future may depend on just how much the carriers care about featuring this service. ← T-Mobile CEO John Legere, Best Twitter Account In Wireless? How would there be an ISIS iOS app if there is no NFC chip in the iPhone? 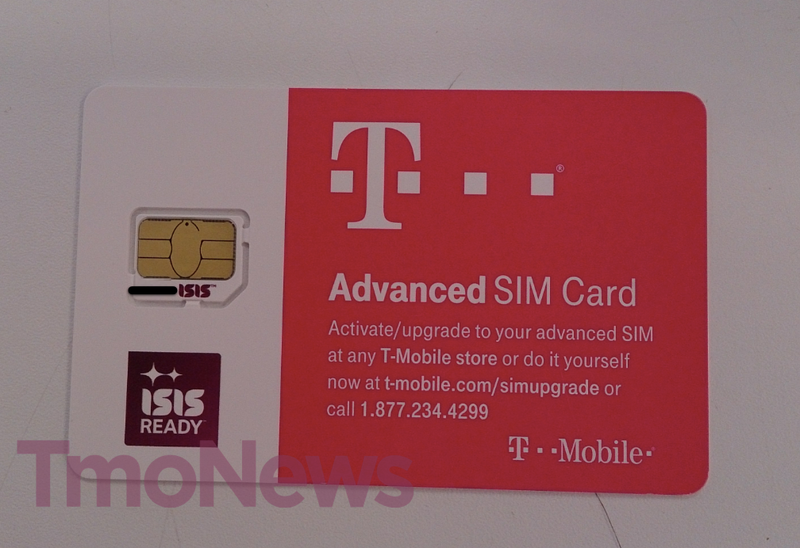 I thought that ISIS would require the NFC chip in the phone and the secure element from the SIM card to work. Am I wrong? I’m torn over whether to try this or not. I still can’t determine the source for the lack of Google Wallet support on most devices and I don’t want to support anti-competitive behavior if the carriers are the ones blocking Google Wallet on certain devices. Question though, does this work at MasterCard PayPass terminals or does ISIS require separate POS hardware? Isis is compatible with MasterCard’s PayPass and Visa’s payWave. Isis was originally suppose to have it’s own processing network IIRC, but scaled back on those plans. My guess is that trying to go up against MasterCard or Visa wasn’t exactly an exciting proposition, even for mobile phone companies. Now Isis is essentially just a software wallet that knows how to use the NFC in your phone. Anyone theoretically could come along and create a similar offering if the carriers decided to play fair. But they won’t, which is why Google Wallet is blocked on stock T-mobile’s Galaxy S4 for instance. It’s built into the Sim Card. The tech in the new sim card provides the secure element needed for the NFC payment. But there is no NFC radio in an iPhone so the Secure Element doesn’t really help. Isis is hoping Apple puts NFC in the phone or Iphone owners would have to buy an NFC case, which there is one out for $60-70. I’ve used ISIS and here’s what I like and don’t like. -If you want to use your own cards with ISIS, you have to get a card that’s a part of the “good ol’ boys club” – IE Chase, Amex, and one other. -Reloading your debit card is a pain since you usually only want to keep the money on there that you want to use since most places don’t take wireless payments. -Deals are based off of the zip code you’re registered with, not by your location. So if you travel to another city, you won’t see deals in that city unless you change the zip code to that city. Overall, I really wish that T-mobile would allow the use of Google Wallet without having to root my phone. I think some competition in the NFC/mobile payment arena would really make the whole ecosystem more streamlined and better functioning. Instead T-mobile (and AT&T & Verizon) opted for ISIS so that they can get a kickback whenever someone uses ISIS to make a mobile payment. Profit margins win again over free market competition. Great write up! Sounds like ISIS needs more work.There’s more incentive to not use it than the other way around. The Un-carrier thing to do would be to allow Google Wallet, at the very least as an alternative. Then give major incentives to use ISIS over the competition. On the other hand, this means you don’t get the bonus cashback/points for category-based spending. i don’t know why they won’t simply use Google Wallet. i’m not really worried about either though because most retailers i frequent don’t even take these types of payments. if/when the majority of retailers start accepting Wallet or ISIS then i’ll care. When it comes to credit card payments, the merchant is charged fees. There’re usually monthly fees, transaction fees, and a percentage of each transaction that the merchant has to pay. With the later two fees, everyone gets a cut of one or both. Those in the line of potentially getting a cut are the Gateway, Independant Sales Office (a reseller that gets residuals; they may only get a cut of the former fee depending on the contract), Front End Processor, Network (Visa, MC, Disc, or Amex), Card Issuing Bank, and Settlement Bank. I may have missed one. ISIS is just another part of that line that is setup to get a cut of that fee. The reason why it’s only available with certain cards is ISIS has negotiated a cut of that pie with each of those Card Issuing Banks. Curious to know if it will be compatible with HTC One? T-Mo, just listen to your customers and let us use Google Wallet for the love of CHRIST!!! I’ve been using Google Wallet ever since I received my Galaxy Nexus in Sept 2012. This article is about ISIS, which is a G-Wallet competitor. My GNex was purchased unlocked from Google. If you bought your phone from T-Mobile, then simply root it and flash stock Android or a mod from XDADevelopers. Then start using GWallet. That should never be the resolution for such an easy thing as this. If I want one do I need to hit up my local tmobile store and ask them for one? do they have it right now? Maybe depending on where you live. Call up your local store and ask them if they have any. It looks like no. I’ve been trying to find one for about a week now and nobody seems to have just the cards, They’ll be happy to sell you a new S4 with the card bundled with it but nobody has the cards alone. Get ready for nationwide backlash now as the power users actually try to use the app. It’s slow, only allows a few cards (as mentioned below), but the worst strike against it for the power users is that it won’t work with root or on custom Roms. It is a lot more stubborn about it than GW is, I was able to get GW working easily no matter what ROM I was on with my Nexus devices, but now that I’ve got to the HTC One and an ISIS SIM I still can’t get ISIS working unless I’m stock, unrooted- even root hiding apps don’t help with ISIS. Maybe the increased exposure will get more devs working on workarounds, but I’m not optimistic. I just want Google Wallet back. It worked. ISIS doesn’t work for me. And yes, I am in Salt Lake City, a test market. it makes no sense blocking the ones with custom roms considering they’re releasing the service on android. they should just give us Google Wallet and Un-Carry on. There is an ISIS root bypass mod for the XPosed framework, FYI. It works with rooted phones just fine. I’ll stick with cash. I guess I’m just old. Will it work with xperia z? I noticed we had one or two in a shipment of new S4s last week, but I haven’t seen any more since then. I’m in the dallas market FWIW. Google Wallet is such a better deal. Works on rooted phones, allows me to use any card I want, and I don’t need some special SIM card. But in any case if the carriers promote this and more retailers accept ISIS it’s a win all around, since ISIS uses MC PayWave. Any place that takes ISIS will take GWallet. Lets just hope they don’t start selling phones with disabled/missing NFC secure elements. hopefully ISIS cvan open up more cards. That would still only solve about 10% of the problems that plague this app. Is it safe to say, we’re looking at a Labor Day launch? I assume this is a nationwide launch. I’ll stick with ODIN over ISIS. Why does the FCC hate Google wallet but love ISIS??? The FCC doesn’t hate Google Wallet, the carriers do. The carriers block the use. If you have a Google Edition phone, they all have Google Wallet enabled. And here I thought it was called, Tap and pay. Where have I been? Always some new tech coming out..